Special thanks to Monica Reardon, Smithsonian Affiliations summer intern, for authoring the 2013 Smithsonian #MuseumDayLive! blog series. A donation in 1963 to The University of Texas marked the beginnings of the museum Frontiers of Flight, now located in Dallas, Texas.Â The collection of artifacts and archival materials of George Haddaway, an aviation historian and the publisher of â€œFlightâ€ magazine, became the â€œHistory of Aviation Collection.â€Â The collection then moved from Austin to The University of Texas at Dallas in the late 1970â€™s.Â Eventually, The Frontiers of Flight Museum was formed as an organization in 1988.Â From there, it grew into what it is today. 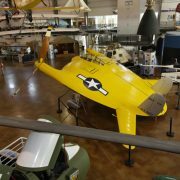 Frontiers of Flight became a Smithsonian Affiliate in 2002 and has consistently participated in Smithsonian Magazine Museum Day Live! for the past 7 years. 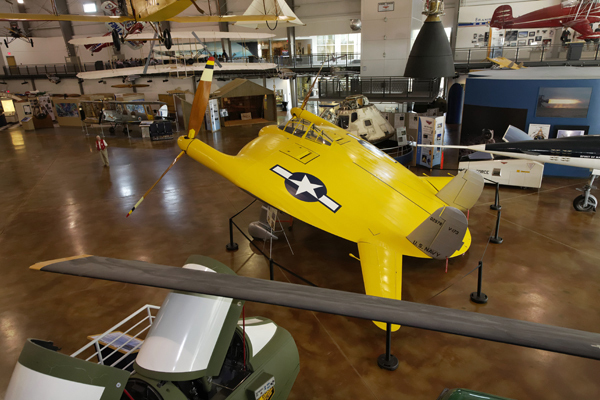 The museum recently helped restore the Chance Vought V-173 Flying Pancake, on long-term loan to the museum from the Smithsonian’s National Air and Space Museum (NASM). 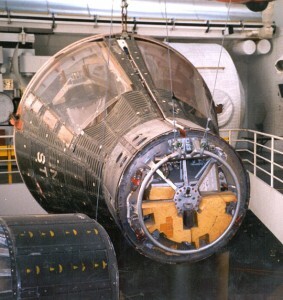 In addition, visitors to the museum can view the Apollo 7 Command Module and more than 20 other space-related artifacts also on loan from NASM. The IMAS team de-installs the Pavilion. Photos courtesy Don Williams. 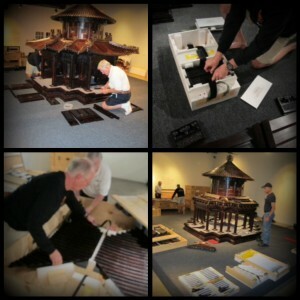 After 5-years on the road visiting 5 Affiliates in Illinois, Texas, New York, and Kentucky, a team of experts packed-up the Ten Thousand Springs Pavilion at the International Museum of Art and Science (McAllen, Texas) at the end of August. The Pavilion reached nearly 150,000 visitors while on view at Peoria Riverfront Museum, Irving Arts Center, Flushing Town Hall, The Headley-Whitney Museum and IMAS. Weâ€™re grateful to Don Williams from the Smithsonian Museum Conservation Institute who traveled to each Affiliate with a team of volunteers to help install and de-install the Pavilion. Where Will the Pavilion Go Next? For more information about the Ten Thousand Springs Pavilion, contact affiliates@si.edu. On September 6, 2013, Plimoth Plantation (Plymouth, Mass.) will donate a mishoon to the National Museum of the American Indian. Created this past spring by the Wampanoag Indigenous Program (WIP) at Plimoth Plantation, members of the WIP will present the mishoon and accompanying paddles to NMAI in a special gift ceremony at the museumâ€™s Cultural Resources Center in Suitland, Maryland. â€œAs a museum dedicated to the history and culture of Native American communities, weâ€™re delighted to welcome a creation like this one that represents a living tradition among the Wampanoag,â€ says Kevin Gover (Pawnee) Director, National Museum of the American Indian. 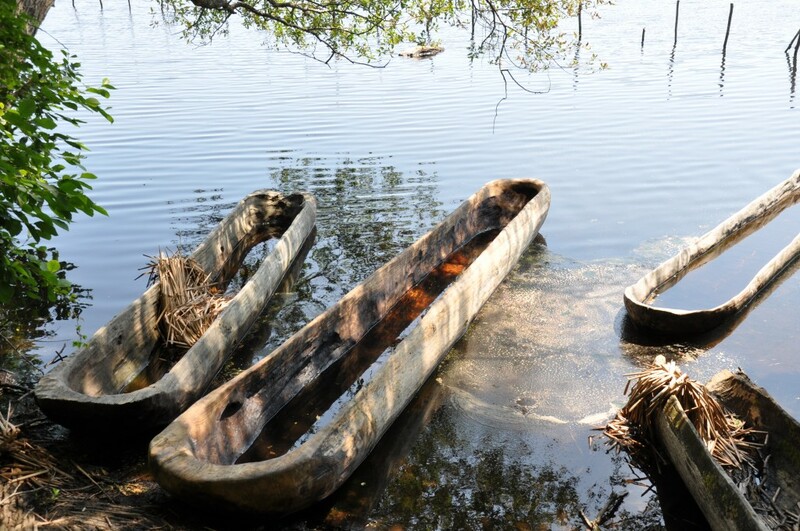 So what is a mishoon?Â During the 17th century, the mishoonâ€”a traditional Native American canoeâ€”was the most common boat in North American waters. A typical 17th-century mishoon was created from a giant tree and capable of carrying 40 men. The mishoon being accepted into the NMAI collection isnâ€™t quite that largeâ€”itâ€™s 16 feet long and can fit up to 3 peopleâ€”but it was created in the traditional way. So how does one create a mishoon? Picking the tree is the first step of course. With the help of Gurneyâ€™s Lumber Yard in Freetown, Massachusetts, WIP selected a white pine. The tree was burned down by wrapping clay around the trunk and burning the roots. 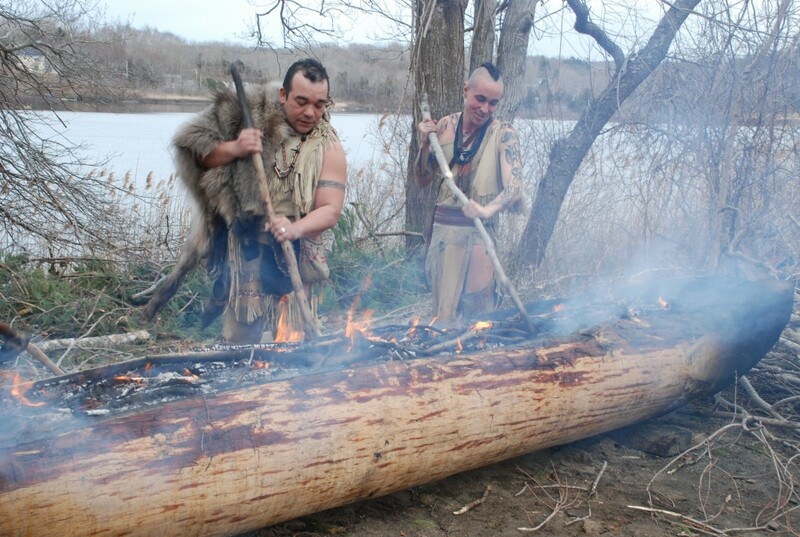 It was then brought to Plimoth Plantationâ€™s Wampanoag Homesite, where the log was worked with fire. By burning into the widest point of the tree a natural keel is created, where the bottom of the boat is thicker than its sides. 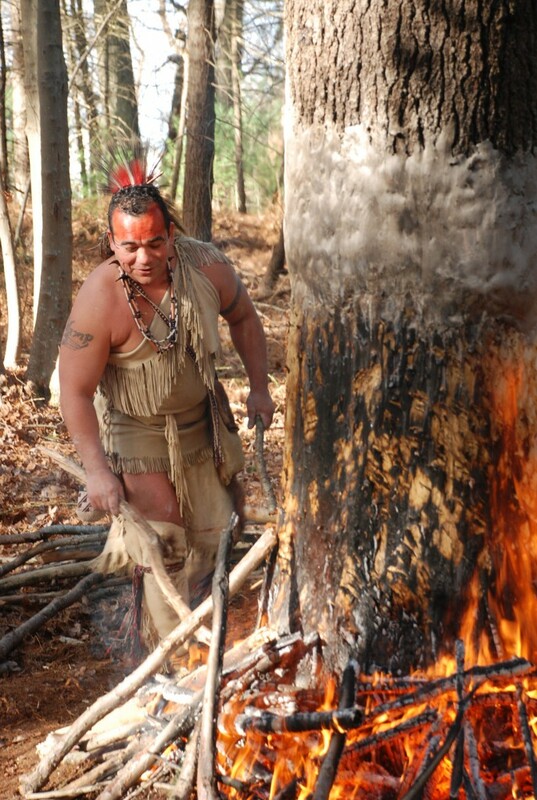 Historically, mishoons were burned 24 hours a day, since the longer the fire was maintained the hotter it would get. Typically, it would take about 10-12 days for mishoons to be created in the 17th century. Although this seems like a long time, trees during this period were typically over 150 feet tall and 6 feet wide, capable of creating the mishoons that could carry 40 men. Smithsonian Affiliations and NMAI will be tweeting live on September 6 as the #mishoon enters the collection. 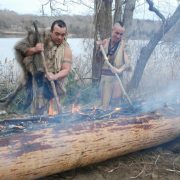 Follow @SIAffiliates, @SmithsonianNMAI, and @Plimoth and check out our Flickr group for photos from the event. Mishoonash in the Eel River next to Plimoth Plantationâ€™s Wampanoag Homesite. Photo courtesy Smithsonian Affiliations. Smithsonian Affiliates are spotlighting their Affiliation on websites and visual communications.Â As so many museum visitors log onto a museumâ€™s website before they come through the doors, this is an amazing way to emphasize your ongoing partnership with the Smithsonian to your community and visitors.Â We wanted to share some great examples and let you know how you can highlight your Smithsonian partnership! 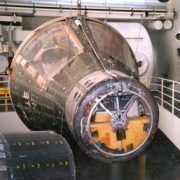 The California Science Center mentions the ongoing projects with the Smithsonianâ€™s National Air and Space Museum that even precede their Smithsonian Affiliation.Â They describe the collaboration that has led to their hosting many space history objects, including Gemini 11. 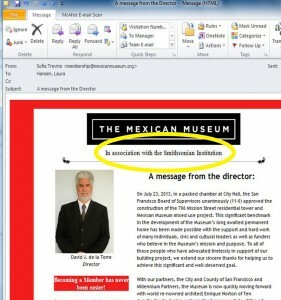 Annmarie Sculpture Garden and Arts CenterÂ mentions the special tagline that AffiliatesÂ may use: In Association with the Smithsonian Institution.Â After uses are approved by your National Outreach Manager, you may use the tagline on many differentÂ media including your own enewsletters, as seen here as used by The Mexican Museum. Several Affiliates, such as The Freedom Museum and the Southern Museum of Civil War and Locomotive History use the Smithsonian Affiliations logo to discuss the Affiliation. Â Only Smithsonian Affiliates may use the logo in these ways so be sure to take advantage of this and shout your Affiliation partnership!Â We have recently updated our logo, which can be found here on a new page with several easy-to-download files in different formats.Â All logo uses must be approved by your National Outreach Manager, who can help with logo and tagline guidelines. Use the logo and tagline! Finally, we can also help with press releases for Smithsonian Affiliate collaborations by providing examples and suggestions, or boilerplate that can be included on every press release you send out.Â We found Affiliates doing this wonderfully: here’s the Berkshire Museum andÂ Denver Museum of Nature and Science. Other terrific examples of Affiliates devoting web site space to their Affiliation and how it supports their missions are: National Museum of American Jewish History, Irving Arts Center, Frost Art MuseumÂ and the Springfield Museum of Art. Kudos to all the Affiliates who are telling their visitors about our unique partnership! Jazz Appreciation Month (JAM)â€”April 2014â€”is just around the corner. Affiliates have the opportunity to participate in FREE Media Training/Networking webinarsÂ organized by The Jazz Journalists Association (JJA). The JJA program will help Affiliate organizations use JAM as an opportunity to broaden their outreach to local communities and media outlets and to network with local jazz influencers. 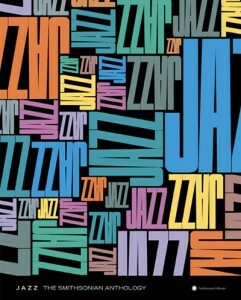 Poster art designed by Fritz Klaetke, art director for JAZZ: The Smithsonian Anthology. Increase local awareness of JAM and the institutionâ€™s JAM-related events. Build the institutionâ€™s ongoing social media presence. 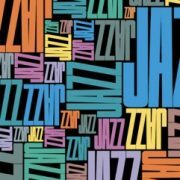 Connect with other local institutions and individuals involved in jazz and related cultural production. The exact content of the interactive webinars will be determined by survey results. Click here to take the survey! Follow Jazz Appreciation Month on Facebook for updates and tweet your activities to @CelebrateJAM #CelebrateJAM. Patent model, Smith & Wesson Magazine Lever Action Pistol. AF*251055. Image provided by Buffalo Bill Center of the West. The Center has participated in Smithsonian Magazine Museum Day Live! since becoming a Smithsonian Affiliate in 2008. On view at the Cody Firearms Museum in time for Museum Day Live! 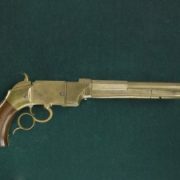 this year are 64 unique firearms from the National Firearms Collection at the Smithsonian’s National Museum of American History.Â The exhibit is divided between patent firearms (the prototype design submitted by firearms inventors), firearms with interesting provenance, and international firearms with gorgeous embellishments.Â The collection includes a Smith and Wesson Lever Action Patent Model and a Colt Patent. The Smith and Wesson Lever Action Patent Model was the first lever action prototype firearm designed by Smith and Wesson. Â Smith and Wessonâ€™s original company, The Volcanic Repeating Arms Co. was actually named after the nickname for the pistol, the Volcanic pistol.Â However, this patent did not bring them financial success and they sold the rights to a shirt manufacturer named Oliver Winchester. Winchester would go on to use this patent; his lever action rifles becoming synonymous with the American West. 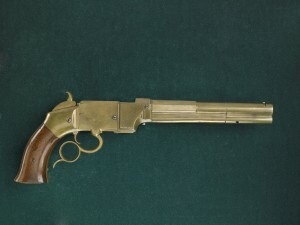 Revolver, patent model. 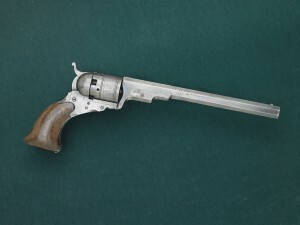 Colt Paterson Revolver. AF*251084. Image provided by Buffalo Bill Center of the West.